For one referral in a month, you can either get a 15% computer repair service discount from us, or you can get a $5 gift card to Starbucks. For two referrals in a month, you can get a 20% computer repair discount, or get a $10 iTunes/Starbucks gift card. For three referrals in a month, you can get 25% computer repair service discount, or get a $20 gift card to any local restaurant that has gift cards or gift certificates. Ladies can choose to get a gift card for a pedicure or manicure instead. 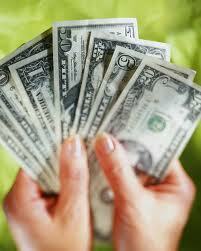 For four referrals or more in one month, you start to qualify for a 15% cash reward for every referral. This will be good for those that could use some extra cash. Currently on-site computer repair service starts at $70/hr, so you can do the math.